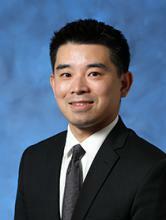 Department of Otolaryngology > Faculty > Harrison Lin, M.D. Harrison W. Lin, M.D. is a board-certified otolaryngologist and fellowship-trained in otology, neurotology, and skull base surgery. Dr. Lin graduated with honors from Harvard University and received his medical degree from the University of Southern California. He then returned to Boston for his otolaryngology-head and neck surgery residency at Harvard Medical School, training at the Massachusetts Eye and Ear Infirmary and Children's Hospital Boston. After residency, he successfully completed a fellowship in neurotology and skull base surgery at UC San Diego.